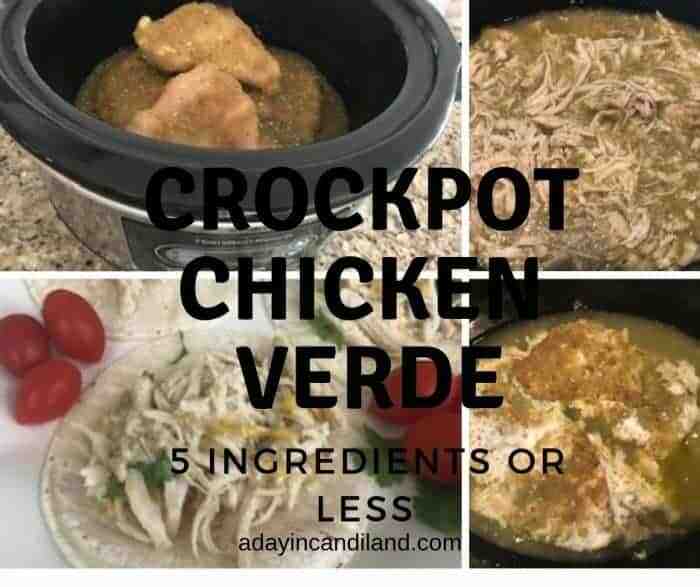 Crockpot Chicken Verde with 5 ingredients will get your dinner ready in one pot and full of flavor with herbs and spices. 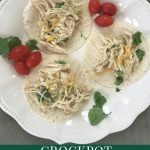 Crockpot meals are simple to make and save a lot of time for busy moms and families. You rarely have to defrost your meat and with a little chopping of your ingredients and placing in your crockpot, the only other thing you have to do is wait. That being the beauty of it is getting it ready and letting it do it’s “thing,” while you work on more important tasks. This Chicken Verde recipe is easy to make and you can add any side dish to it you like. 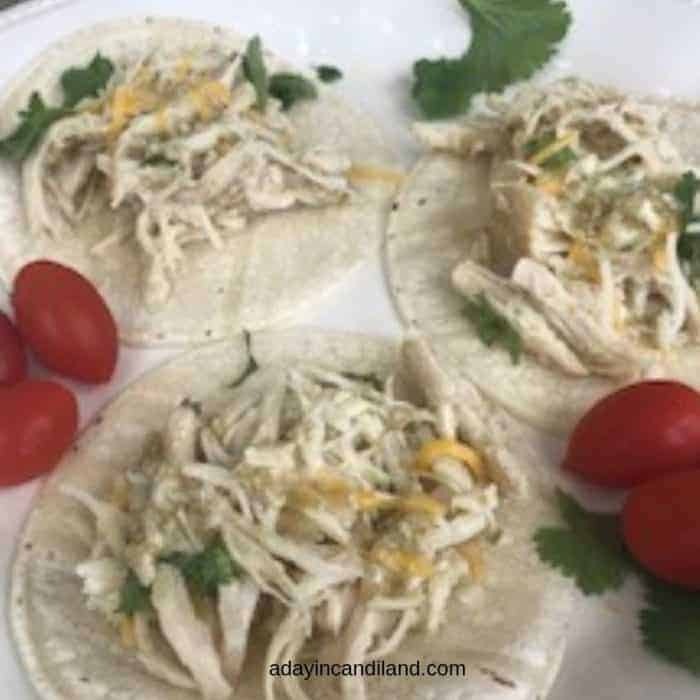 It takes 3 hours on high and 6 -7 hours on low using frozen chicken breasts with just a few ingredients and when it’s done you just shred the chicken and place on a tortilla. What can be simpler? Crockpot Chicken Verde with just 5 ingredients will get your dinner ready and in one pot and full of flavor with herbs and spices. Place the frozen chicken breasts into the crockpot using a crockpot liner for easy cleanup. Add a 16 0z jar of salsa verde, cumin, garlic powder, lime juice and salt and pepper. Cook on low temp for 6 hours or high temp for 4 hours. When done, let cool a bit and then shred with two forks. Serve on top of corn tortillas, add some cilantro for color, or jalapenos. Serve with Rice, beans or corn salsa. If you enjoy this recipe leave a 5 star review in the comments and share on Pinterest. If you love to use your crockpot, try these 20 breakfast crockpot recipes or 20 Low Carb Crockpot Recipes. I love all things Mexican and this is delish! 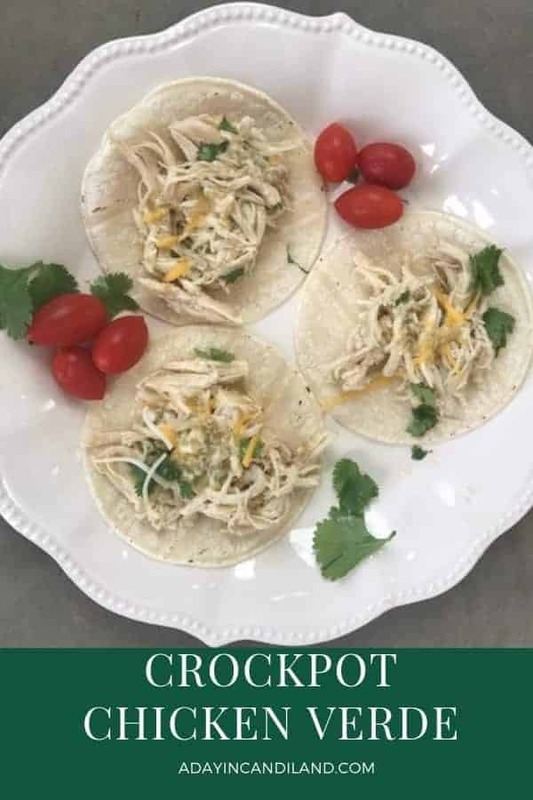 We just made a similar recipe in the Instant Pot and it is SO good! I will have to try it this way, too! I love this recipe and all of the ways you can serve it! Great and yummy idea, I love this recipe!